Mar 30, 2017 ... There are a few things to consider before booking a treatment; three therapists reveal how to get the most out of your appointment. 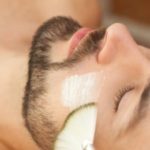 is more than a marketing term, though very frequently that is how the term is used by various clinics, spas, and therapists. So get into details with your therapist, if they tell you it is just deep tissue massage, they are not necessarily therapist for you. Deep tissue work is great, but for athletes, you want a therapist who understands the demands of your sport, how your body needs to move, improve and recuperate. Whatever your sport, and regardless of whether you compete for fun, for work or to stay in shape, a good Sports Massage Therapist can help you achieve the goals you have set for yourself. This is a targeted, thoughtful approach to helping athletes achieve their goals and avoid injury. If you are an athlete, at almost any stage of competitiveness from young dancers and hockey players to professional athletes and runners that work out for their own health and satisfaction. Getting regular massage therapy has loads of benefits. Therapeutic touch can be done in preparation for an event, during an event and as recovery. And the approach that the therapist brings to each situation will be different, and the techniques will also vary according to the sport. It is important that your therapist know how you compete, all injuries, when your last competition was and when you will next compete. As well as your commitment to including massage as part of your training/recovery regimen. These will all affect how they map out both the current treatment and a treatment plan. If you are serious about sports having an excellent sports massage therapist is a partner that will help get you to where you want to go. A massage therapist is trained in how muscles work, what they do and most importantly how they all work together, allowing the therapist to work not just the muscles that are most impacted by your training's but to keep supporting muscles limber as well. This helps keep the range of motion at optimal levels which not just improves your ability to train harder and more efficiently, but also prevents muscle strains caused by tightness. 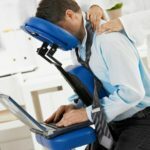 Sometimes the therapist will work very deeply- hence being used in marketing to mean a deep tissue, but not always, especially if there is already swelling or any sort of joint or ligament injury. When do you get Sports massage? When preparing for a competition or as part of your readiness for ongoing athletics, your massage therapists will work on keeping you light and loose, so that your muscles, tendons, and joints are in peak condition, think about this like your pre-workout stretching. Healthy, relaxed muscles improve faster with training and are less prone to injury. During this phase of treatments, your therapist will be focusing on reducing inflammation, improving range of motion, and treating minor sprains and strains. As well as addressing major pain points, and any scar tissue or injuries that need addressing. Sometimes not working on an injury but on supporting muscle tissues or imbalances caused by an injury can also help reduce future problems. During an event, the therapists will generally work in small 10-15 min time segments and address issues like a muscle spasm, minor strains, or keeping muscles warm and limber between segments of a competition. The sessions are very focused on keeping muscle tissue warm, relaxed and in readiness for the next spurt of activity and generally speaking the strokes and techniques will be quite stimulating. While the stokes can be stimulating, the effect on your mental state is very often soothing, helping you focus on performance and visualizing your best possible outcome. When recovering from intense physical activity, while your muscles are still inflamed and have lactic acid buildup, massage strokes are gentler with a greater focus on flushing muscle tissue, soothing strains, and speeding recovery. Your sports massage therapist may even work on areas that you think don't need it, as they restore your body to peak health. Remember a well-trained sports massage therapist has an excellent education in how muscles work separately and together and is your partner in achieving your goals. The best time for this type of sports massage is 24-72 hours after a very intense bout of activity. Make sure that any serious injuries are seen to be a Dr. especially if you think there could be a break or a head injury. And when you see your Massage therapist let them know about any contact, injuries or diagnosis's so that they work in tandem with medical professionals. For anyone who is a fan of the Olympics, and saw Micheal Phelps compete in swimming, you will be familiar with the funny red dots left by cupping. Cupping works by drawing blood from your vessels into your tissues, boosting the healing and recovery that happens between workouts and competion and helping your body recovery from any injuries. Cupping can be added to any therapy treatment and is a very effective way to manage pain for anyone but especially for athletes. Sports massage experience includes Canadian Mens' Soccer team, Canadian Junior Men's Olympic trial team, countless NHL players, Professional Show Jumpers, and many developing athletes over the last years.